APPLE cider vinegar has become a popular trend for people on the quest for perfect health. But what is this seemingly innocuous liquid doing to our teeth? 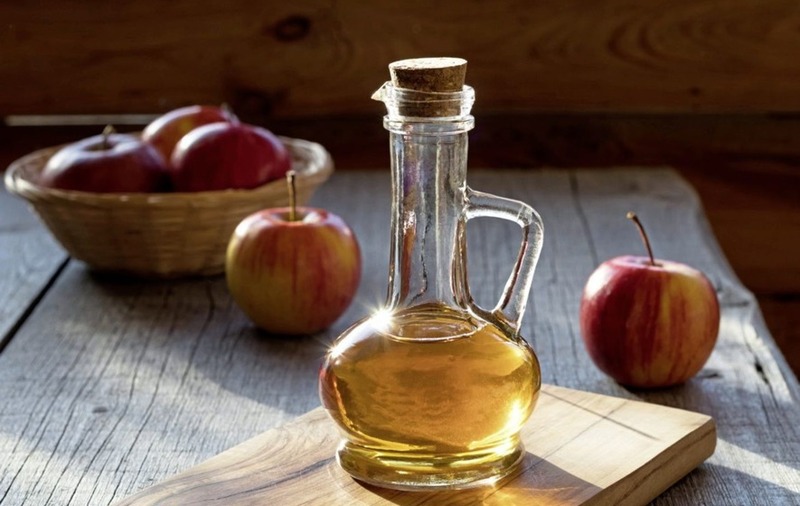 There are claims that apple cider vinegar can help bleach teeth, fight tooth decay and help chronic gum infections; unfortunately there is not a lot of scientific research to back up these claims or confirm its safety. In fact, if we go purely on the science, it would appear that apple cider vinegar taken in excess has a damaging effect on our pearly whites. Apple cider vinegar is mildly acidic; with a pH of 2–3, it is slightly more alkaline than other vinegars because it contains more alkaline nutrients – but the kicker is, it's still acidic. Because apple cider vinegar is made from apples as opposed to diluted alcohol, like white vinegar, it means that it contains alkaline nutrients such as potassium, calcium, magnesium and more. These can reduce how much acid your kidneys need to filter out. However, there's no evidence to show that what you eat affects your body's pH. On top of that your body has inbuilt mechanisms to keep your acid-alkaline balance at a relatively constant state. Falling outside of the healthy range could have dangerous consequences for general health. Like all vinegars, citrus fruits (especially lemons and oranges) and diet drinks, their acidic nature will affect the acidity of your mouth. Your teeth want to live in a neutral environment, as stepping into the acid zone causes them to leach minerals and soften. So if, for example, you ate one orange and then had nothing for a couple of hours your saliva would do its job perfectly and bring the mouth back to neutral. But if you overload the system and have too many acidic foods too frequently then saliva just can't keep up with the onslaught. Teeth will simply dissolve away. At first, you probably won't even realise that your tooth enamel has been damaged, as it is difficult to see. As the damage worsens the teeth start to turn yellow and dimple. You will start to feel hot and cold more intensely as the barrier enamel layer has been lost. When teeth are really eroded down people can suffer from abscesses, bite problems and jaw joint pain. Boring as it is, moderation is the key. Reduce how often you have all acidic foods – there's an accumulative effect. You can also try limiting contact with the teeth by drinking the vinegar through a straw and rinsing with water afterwards.